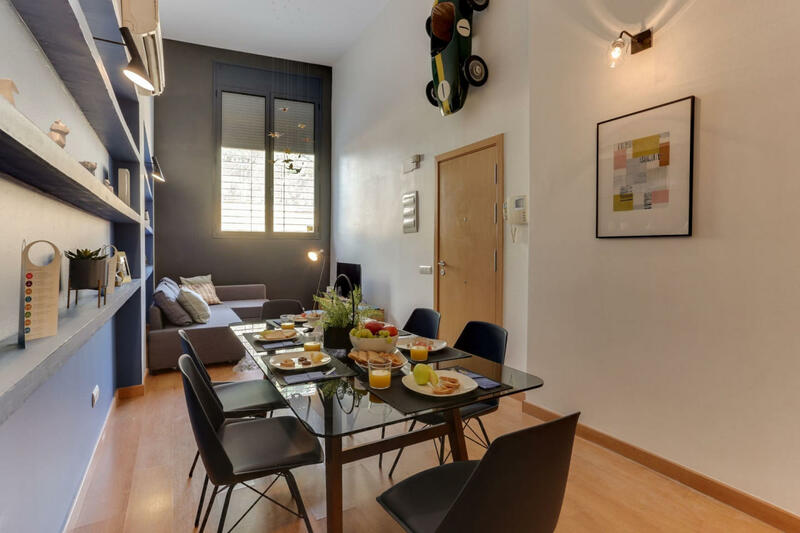 The spacious, 2 bedroom Park Guell Triplex vacation apartment in the heart of Barcelona’s trendy Gracia neighborhood offers visitors modern luxury and laid-back style. 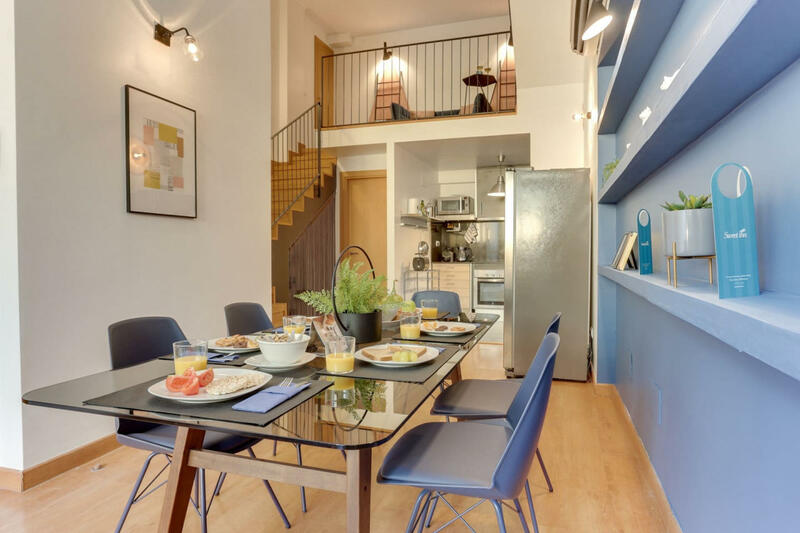 For those seeking a more authentic experience, this light-filled loft is situated in the part of the city well-known to be most popular with local artists and hipsters. Nestled between two of the most famous parks, Crueta del Col Park (10 min), and Park Guell (15 min), you’re in the right place to discover Gaudi too. His famous home, now a museum called Casa Museo Gaudi (15 min) is within the Park Guell, and you’ll find easy access to any other part of the city with buses running just downstairs (1 min). Tastefully decorated by our local interior designers, visitors will love the soothing pastels, uber-cool lighting fixtures and sleek kitchen. A combination of artistic decor with plush furniture, soft sheets and super comfortable beds gives this airy loft all the comforts of home for up to 6 guests. For those who enjoy cooking a meal, the fully-equipped modern kitchen has everything you need an a cosy outdoor balcony is a great place for enjoying a glass of wine after a long day of exploring. Premium amenities include free WiFi, cable TV, hotel beds and linens, luxury toiletries, and a Nespresso machine. 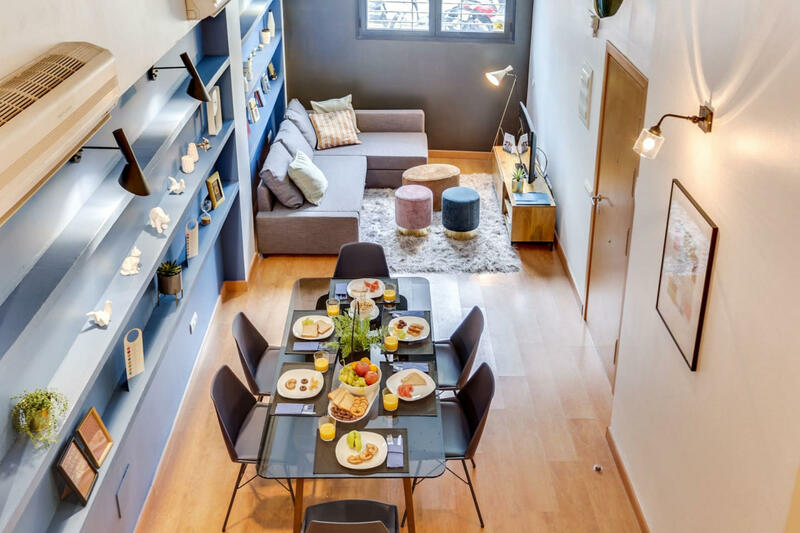 For those who want comfort in the heart of Barcelona’s hippest hood, this modern, comfortable space is the perfect choice. * Security deposit: € 300.00-After completing the reservation the security deposit amount will be blocked in your credit card.